Al Raseef is a band and a musical idea that started in Ramallah, Palestine in 2011, that plays Arabic and Balkan music in vibrant and varied grooves, with a contemporary and new fresh arrangements. The sound is characterized by the versatile colors of wind instruments; brass and woodwinds, accompanied by a guitar and the drums; which sails you on a musical journey around the Mediterranean and its diverse cultures. “Mina Zena” is the band’s first live session, studio recorded album, consisting of 10 pieces of the Mediterranean heritage and folklore. It was recorded in Genoa (or Zena, as it was once known) a city in the north-west coasts of Italy, where the members of the band met in a music institute coming from Palestine, the Syrian Occupied Golan Heights and Italy; to find new experiences and to broaden their musicianship regarding Western music, Classical and Jazz. 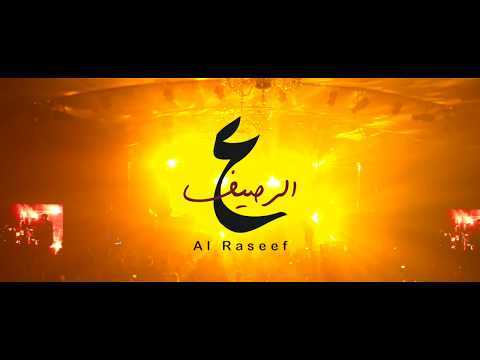 Al Raseef can be considered a World Music project due to the various styles, mixtures and cultures that form the band. Playing basically traditional folk music of the Arab World, Turkey, and the Balkans with a huge Euro-Mediterranean influence. The sound and the arrangements are original, where you can easily hear Jazz and Classical Music influences; you can even hear a hint of Ska, Funk and various grooves that goes along with the music as a part of the original sound of what was once traditional. The band started on a sidewalk in the city of Ramallah, and this is where the name comes from, (Al Raseef means “on the sidewalk” in Arabic). The idea was to play on the street and deliver music to friends and passers-by. It was a new experience and a new challenge in the midst of society’s political and social dilemma. Afterwards, the band participated in many musical performances in theaters and festivals in Palestine. Most of the band members moved to Italy in the summer of 2014 to complete their advanced music education. They were joined by two Italian musicians and a player from the Occupied Syrian Golan, to add to the band a new color that distinguishes the diversity of cultures and different musical backgrounds of the musicians. This gave the band the ability to provide diverse music and vitality, starting from Palestine, sailing through the cultures of the Mediterranean, the rhythms of North Africa and the melodies of the old continent; until it anchors on the shores of the Levant. Al Raseef has performed in several events and festivals in Palestine such as the “Wein A’ Ramallah Festival” in Ramallah, “Rock to Bethlehem Christmas Festival” in Bethlehem, “Palestine International Festival” in Toulkarem, “Palestine Music Expo 2018”, and several others, including a tour of all major cities of Palestine. They have continued playing in the streets of Italy and beyond, performing in several places all around; including few festivals such as the “Andersen Festival” in Sestri Levante, “CHE Festival”, “Improland Festival”, and the “SUQ Festival” in Genoa, and more.